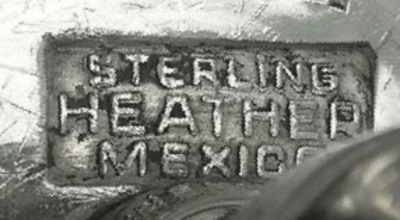 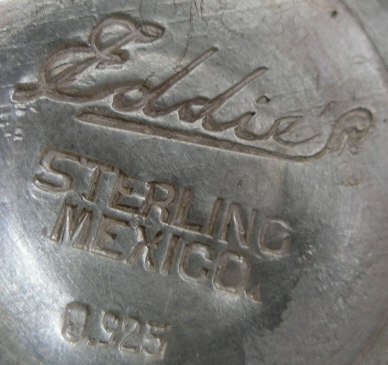 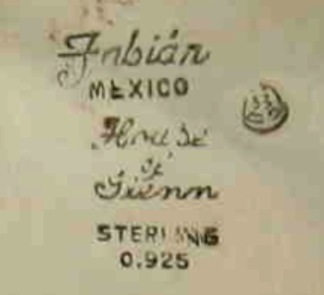 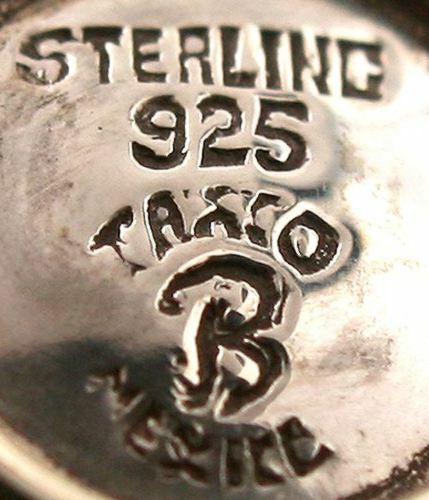 In the first half of the 20th century silver items manufactured in Mexico were marked simply "silver" or "sterling". 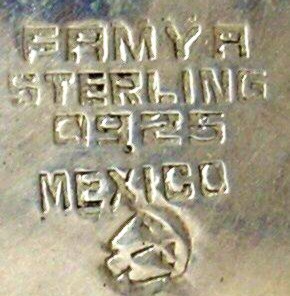 Usually a location (Mexico or a town name) and silver fineness (925, 925/1000, 980) was included. 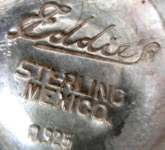 In 1948 the Government of Mexico promoted the reintroduction of the "eagle mark" to identify the manufacturers of silver items. 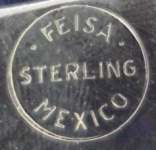 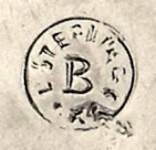 The "eagle" was stamped with a number associated to a silver manufacturing company. 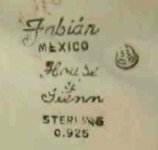 This system was unsuccessful, eagle stamps were misused or "loaned" to more than one artist of maker and was abandoned in the 1980s. 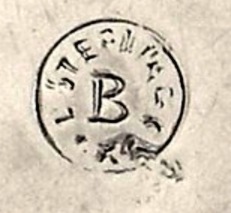 It was substituted by the "letter and number" system still in use. 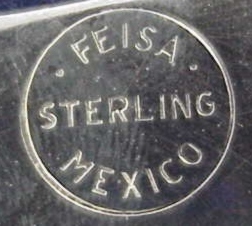 see PLAT.MEX S.A. EMP.PLAT.MEX S.A.
A retailer shop in Taxco.